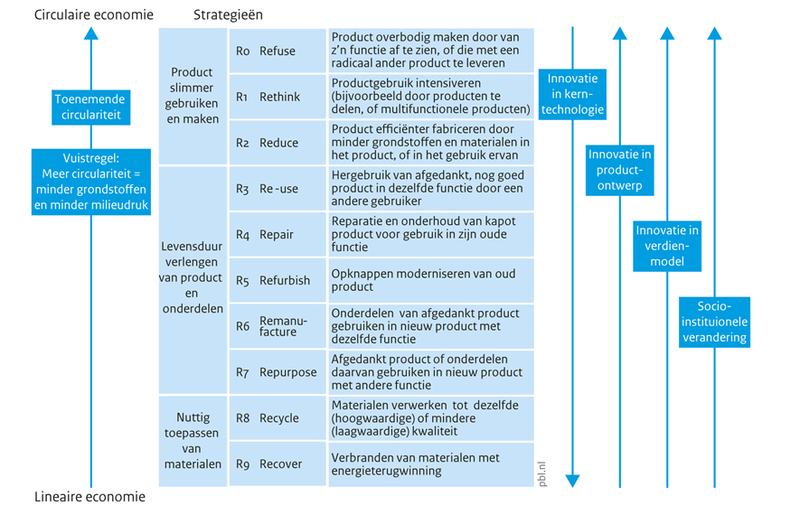 Thinking about and reading about re-using plastics I stumbled across an inspiring overview of re-strategies, published by TNO. This is the company my husband works for – TNO does strange, mad and magic things with techology. 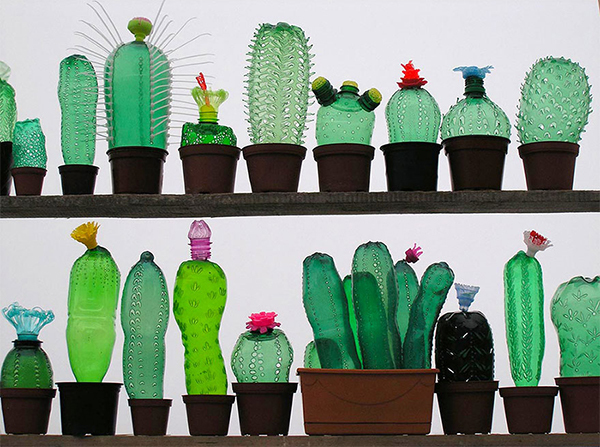 recycle: we do glass to new glass, paper to new paper; plastic to new plastic, old clothes to fibres for isolation material; shoes to wherever old shoes go; green waste to compost; I’ve even sourced an extra bin today so we can separate plastic from general waste in our bathroom. Drawback: when we have guests staying, getting them to opt in to our waste separation strategy is something of a challenge. repair; ad nauseam – husband repairs bycicles, washing machine, dryer, coffee maker, vacuum cleaner, sewing machine, lock machine, garden equipment, garden furniture. Drawback: many machines go on strike when husband is away on a business trip. re-use: everything we discard goes to the thrift store to get a second life – I have a ‘thrift store box’ that I fill religiously. 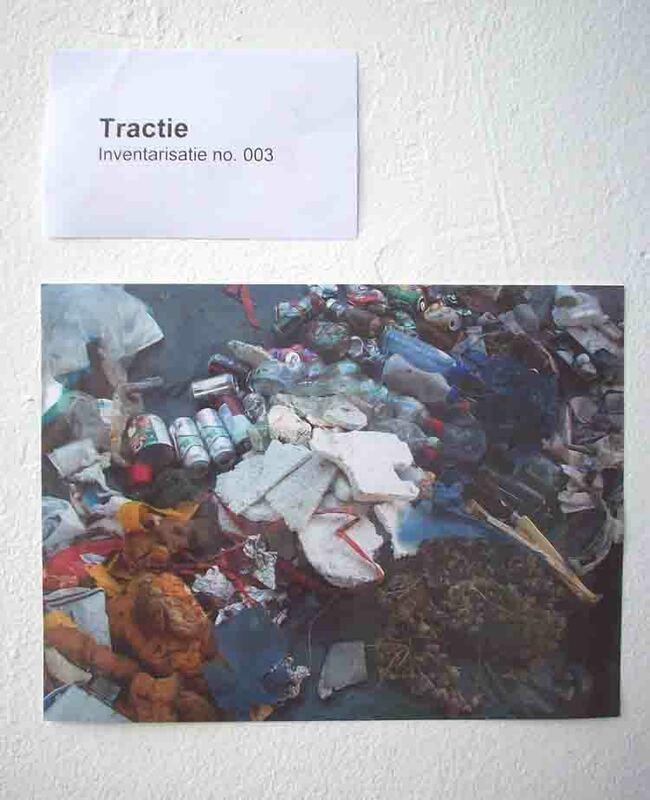 Am getting better at discarding – the idea is that if I miss an item, I can always hit the thrift store and buy it (or something like it) back; Do buy a lot of books and clothes secondhand. Also lamps, furniture, bed linen, blankets. Also bought a refurbished laptop (am typing on it now). Also sound boxes, storage containers, cutlery, candles, knitting yarn, 1950’s tableware, terracotta pots, birthday cards, vases …..
reduce: use fewer materials to make a product – not applied this one yet. Maybe being on a diet counts? rethink: share products or make products multifunctional – up until last year we shared a sailing boat; we shared childcare with another family; we share a shredder and we are silent partners in a tugboat; I am sure we could share more, especially tools and machinery. Would love to share cooking – there are some promising initiatives here but these haven’t reached our neck of the woods yet. refuse: don’t buy, don’t use, try something that is totally different – ok, what things do I not have? I did not buy a car but travel by public transport. I have no flatscreen TV nor do I want one. I have no houseplants. I (almost never) buy flowers as they are grown under very un-ecological conditions – I do not look gift horses or gift flowers in the mouth, though. re-grow – yes! this is my very own addition to the list! I grow plants for the garden from seeds and bulblets and cuttings and finds. Also my gardening focuses on plants that come back year after year.